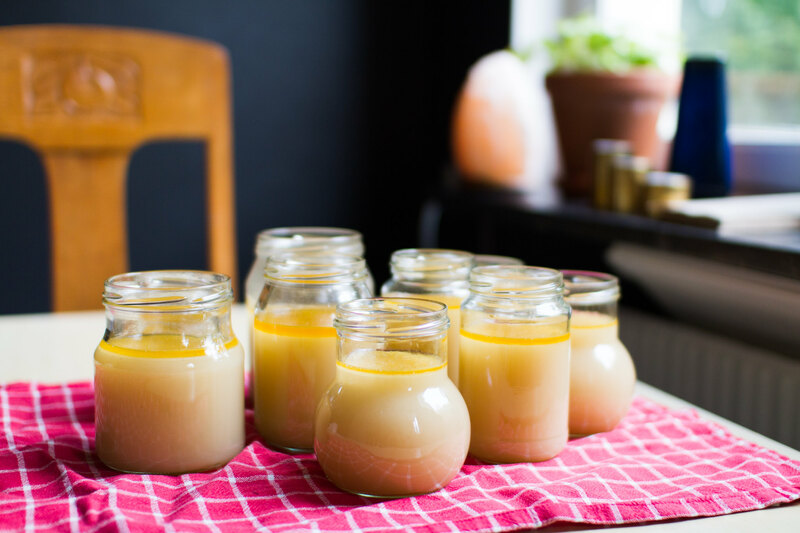 Two weeks ago we stumbled over a wonderful recipe of a really tasty paste of turmeric, something that they call golden milk. It is basically a mixture of a number of spices that one mix in water reduce to a paste. This paste is then dissolved in coconut milk (or coconut cream+water) to create a close to perfect hot cup for the evening. Curcumin in turmeric is really healthy, but unless you are completely into asian foods with curry etc. it is kind of hard to eat any substantial amounts of it. However, this golden milk is a perfect way! 2 tsp black pepper (ground), to block the degeneration of the curcumin in the body and maximise the amount we can have use of. Blend the ingredients in a sauce pan and bring to a boil, whilst stirring. Let boil until it has turned into a nice paste-like texture. Add spices for flavour. We have yet to try something outside the basic recipe, because it is just that good(!). 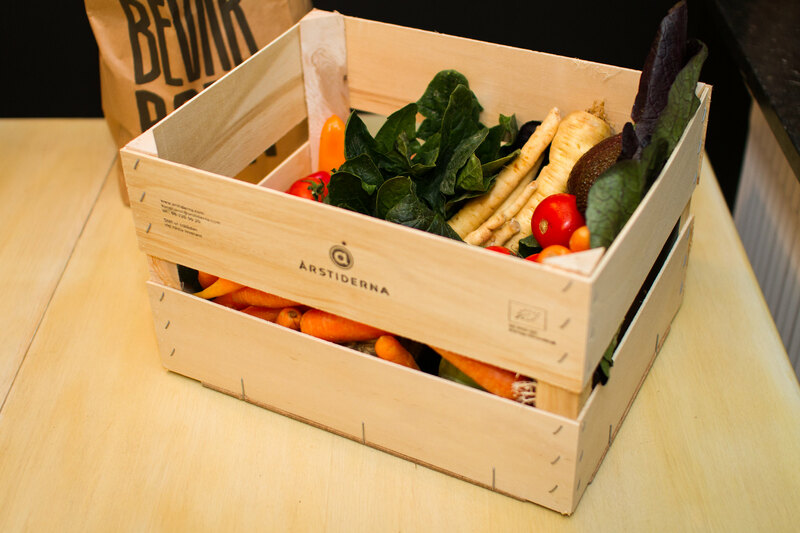 Place in a glass jar and store in the fridge for up to two weeks. 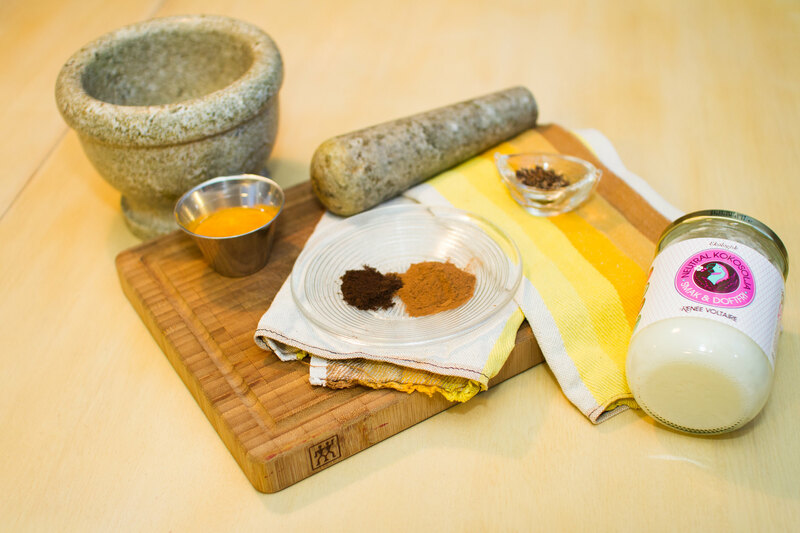 The ingredients for the golden milk paste. in a sauce pan, bring to a boil and enjoy! We can’t get enough of it! About at three each afternoon both of us start to have cravings for our evening cup of golden milk, so there is definitely something good with it! 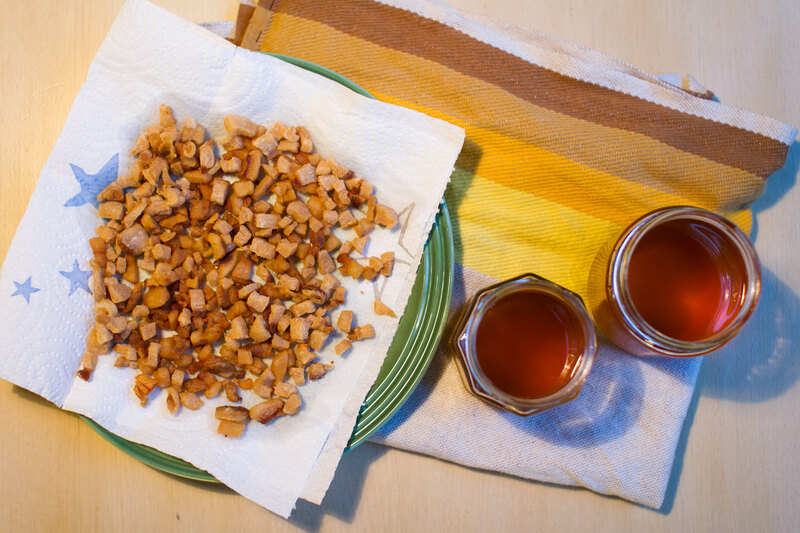 Goes perfect with a bowl of dessicated coconut that you dry roast in a pan and mix with virgin coconut oil as well. Hope you enjoy it as much as we have! It should also seriously help the immune system cope with all the winter and spring flues/sicknesses that seem to be everywhere. 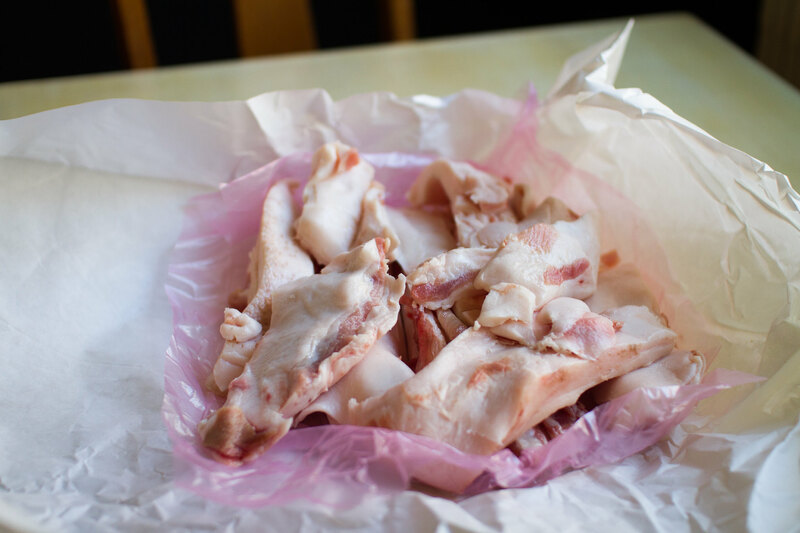 Last time at the butcher, we were able to get some really nice pork fat for free! That’s amazing and saves us a whole lot of money since we can use that as cooking fat instead of coconut oil or butter. Not only is it for free, it is also the most stable cooking fat you can use since it doesn’t oxidizes or creates any toxic aldehydes at all when heated. Love it! Lets have a look of how to render the lard to turn it into cooking fat! 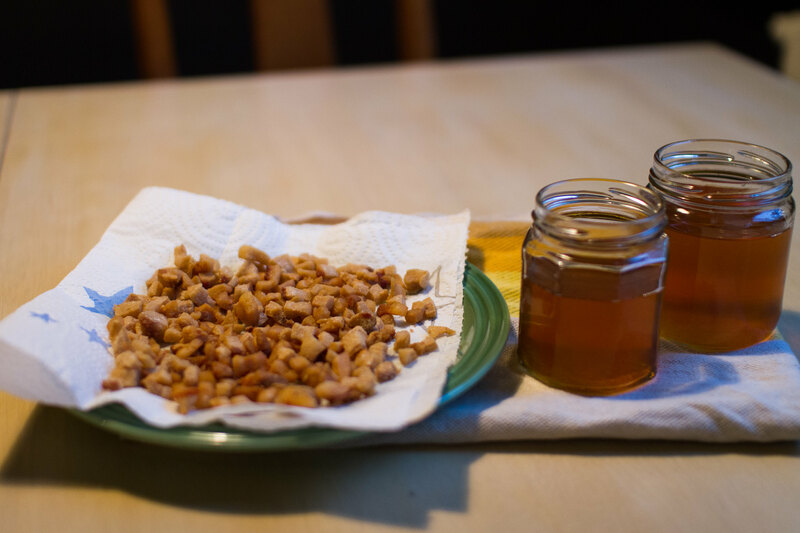 The picture above shows the outcome of the process, fried pork fat crumbles and clean fat. 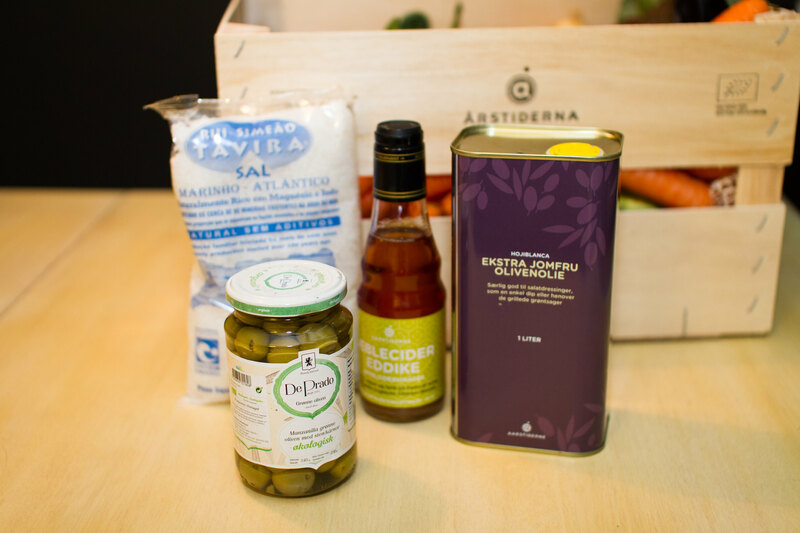 The picture below shows what you need for the process, nothing else but animal fat. 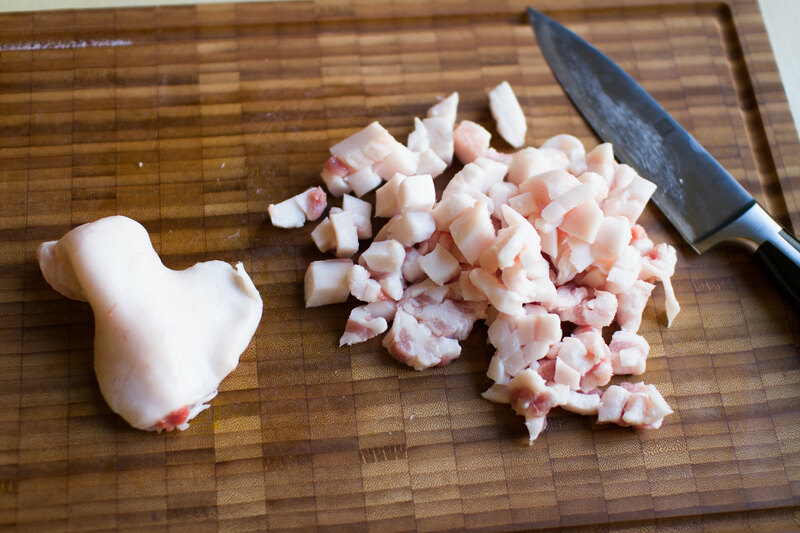 Chop the lard into small pieces. The smaller, the better. Place a pot, of good quality with a thick bottom, at the stove at moderate heat. Add the lard, just to cover the bottom. Don’t do more at once! The lard starts to melt and continues to do so for a while, be patient and don’t remove them to early. They should have turned into small, hard pieces before removing them. Pour the melted lard into a glass jar and let the pork crumbles dry on a piece of kitchen paper. Repeat until you have melted all of the lard. Let it cool and store either in room temperature or the fridge. As I mentioned, do small amounts each time since it will give a better result and is more controllable. Don’t be tempted to turn up the heat on the stove either, keep low to moderate heat and let it take some time! Always have a lid handy beside the pot in case of overheated fat. And for bad impulses, don’t keep any water nearby. Also make sure that the kitchen fan is closed, it’s not nice to have steam with fat drawn into that in case of fire. But don’t worry, just use some common sense when handling hot fat! Really nice to have a own jar of lard! This is how it looks after it have cooled, but the consistency is still soft and silky. Bone broth made in Wonderbag! Have you heard about Wonderbag? This incredible clever non-electric slow cooker. Make sure to check it out more in detail here. We just got one ourselves and the first thing we cooked in it was of course bone broth! First, look how pretty the Wonderbag is! Bone broth after 12 hours in Wonderbag. 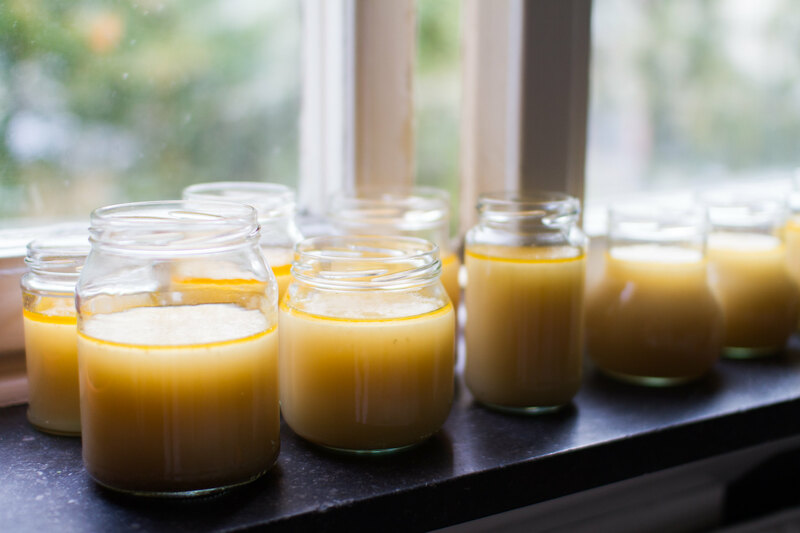 Second, look what an incredible bone broth it makes from massive bones. Such a difference to use the stove for 30-60 minutes to make bone broth instead of having it boiling for 12 hours at the stove. The flexibility to be able to make the broth without being home and awake for 12 hours straight to watch it is another great advantage! 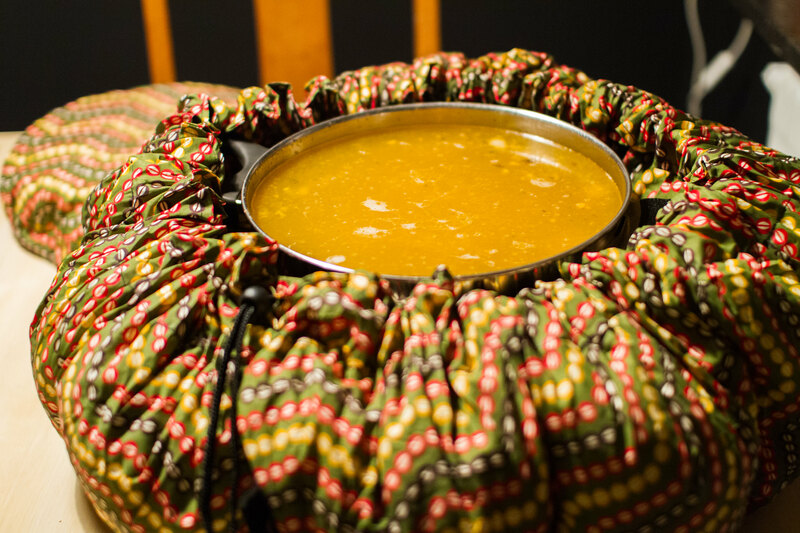 It was so convenient to start the broth during the evening and then finish it the next morning, just leaving it in the Wonderbag overnight. No need to worry about setting the stove on fire or dry cook the pot. 1. 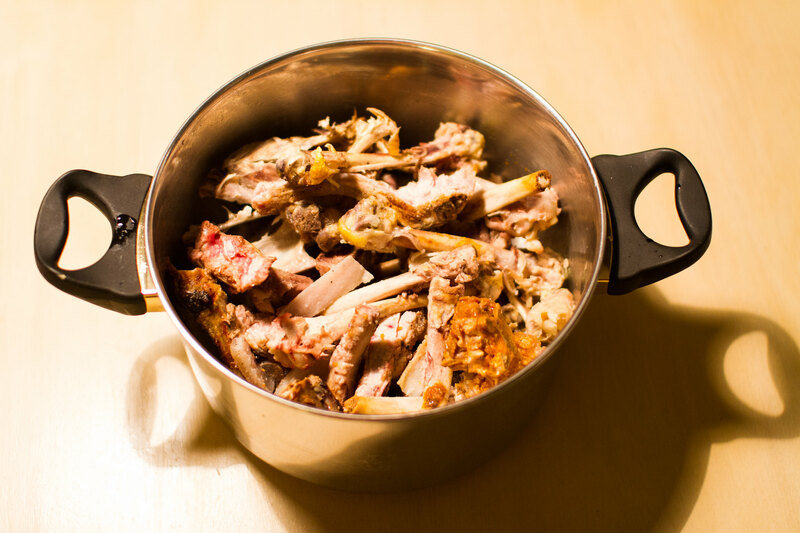 Fill a pot with bones and add water to the edge. Use a variety of bones if you have! Chicken carcasses usually makes the broth very gelatinous. Bones saved in the freezer! 3. 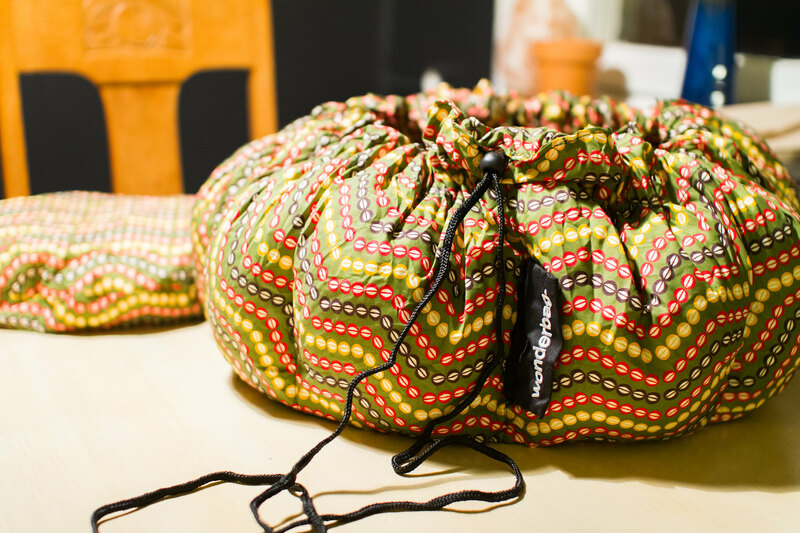 Place in your Wonderbag and seal it tightly to keep all the heat inside. 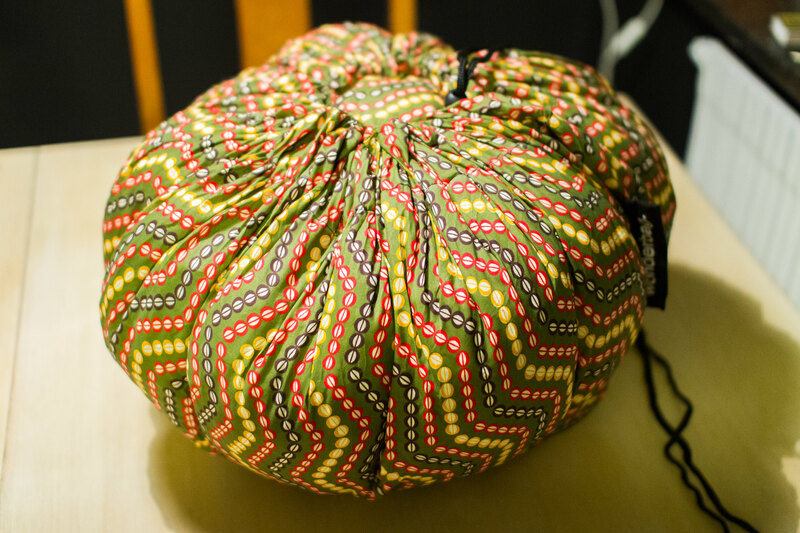 Place the warm pot in the Wonderbag. 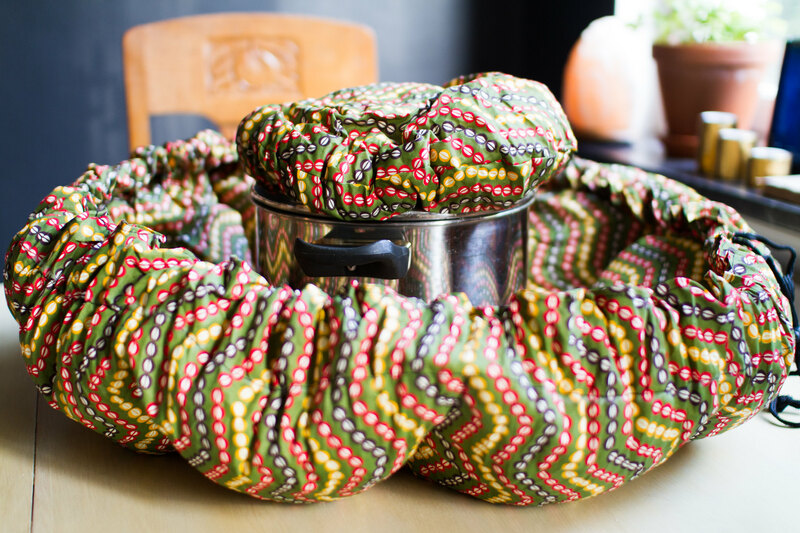 Resting Wonderbag with a bone broth pot inside. 4. 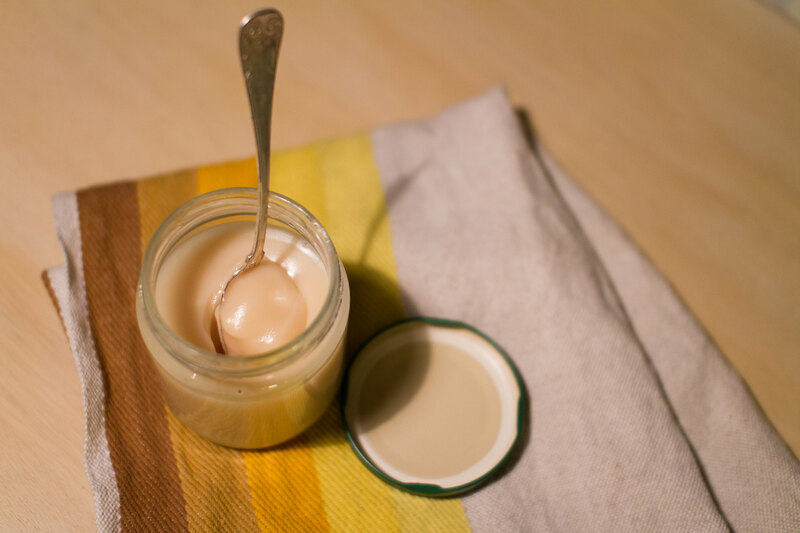 Let it rest and transform the bones into a gelatinous nutritious liquid for around 12 hours. Cooling the jars with help of the cold autumn air. Make sure now to buy meat on the bone and save the bones in your freezer. 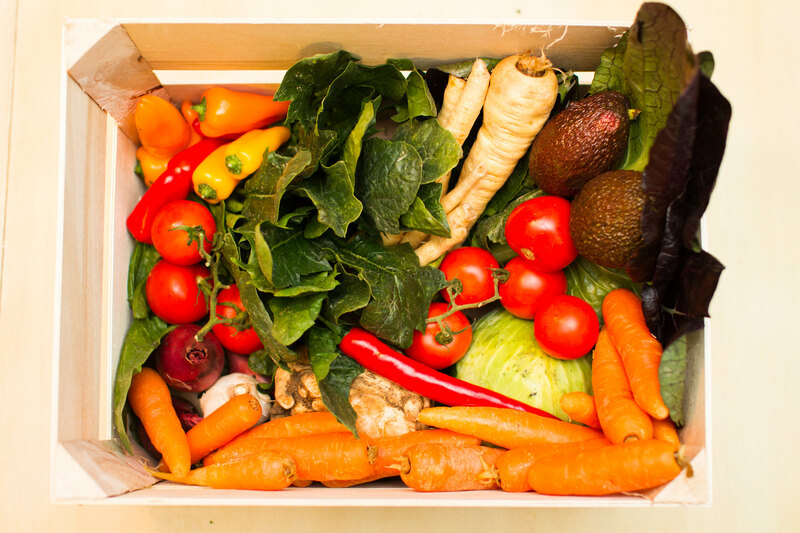 In that way, you always have the possibility to make this super nutritious elixir to no cost at all. Like last week during Monday – Tuesday it was time to do a full 24 hour fast again! Last time, one of the mistakes I did was to not drink enough or taking enough salt. During this fast I made sure to not repeat that, which also payed of in more stable blood glucose and ketones. In the graph below, I’ve plotted both this week’s and last week’s data. The upper green curves are the blood glucose where the upper one is last week and the lower one is from this week’s fast. The green area is where I would prefer to have my blood glucose and I surely reached that target better this time. One important conclusion that I’ve been able to make from these two fasting periods is that my basal insulin dose seems to be slightly too high in the evening since I dropped down in blood sugar after midnight both nights. 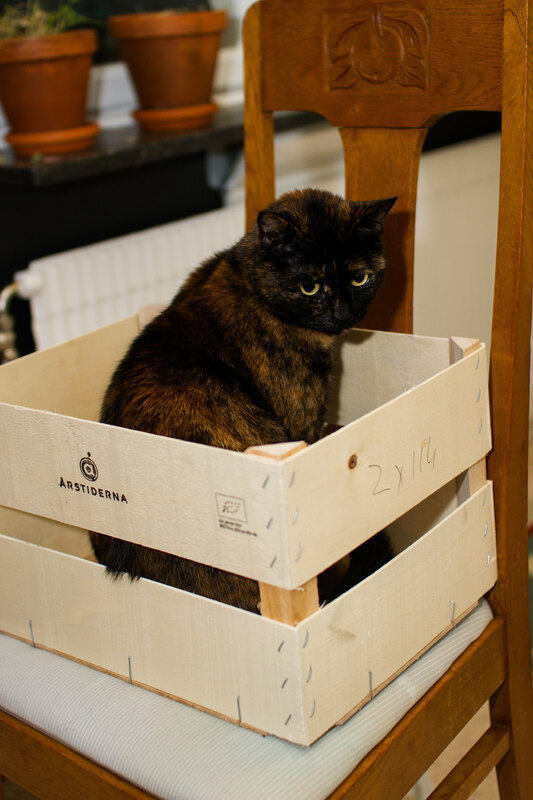 I will try to correct that by moving one of the units to the morning instead of the evening. The ketones then, shown as the lower curves in the graph… As mentioned before, it doesn’t matter if they go a bit high as long as I don’t feel dizzy from it. But it doesn’t have any further positive effects to go above 3 mmol/L. The grey area shows where I want them to be. They didn’t go as high this time as last time but still rised during Tuesday morning. I don’t have any explanation to it, let’s see if it will continue doing that next week as well. As a result of the more stable blood sugar and ketone level this time, I felt so much more energized during Monday evening compared to last Monday and it was no effort at all to skip the dinner. Tuesday morning went fine as well but being 1,5 hours later with lunch than usual and therefore also prolonging the fast to 25,5 hours was though mentally. It was also quite though physically as my sugar started to drop and was down at 2,6 before I had the possibility to eat. A while ago got to pick these wonderful deep red apples in a garden. They’re crisp and soft at the same time and not too sweet. 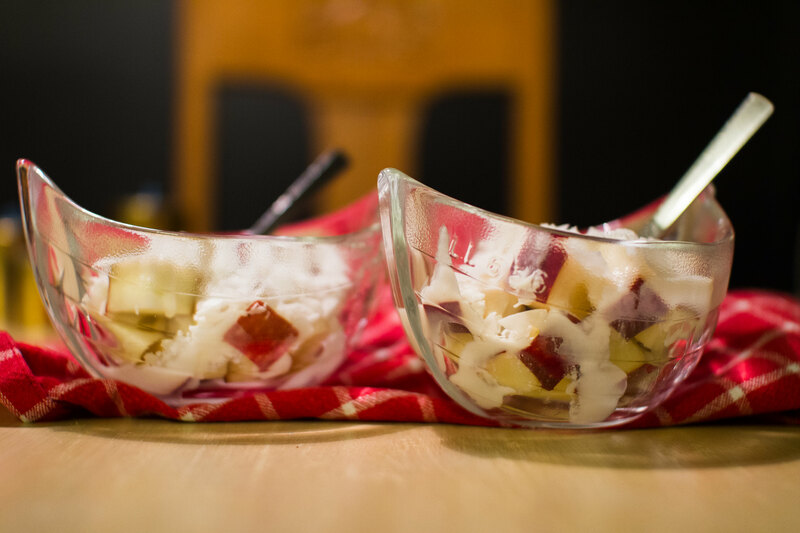 One way to enjoy it is to do this apple and coconut bowl that I came up with! The bowl is very simple to make! 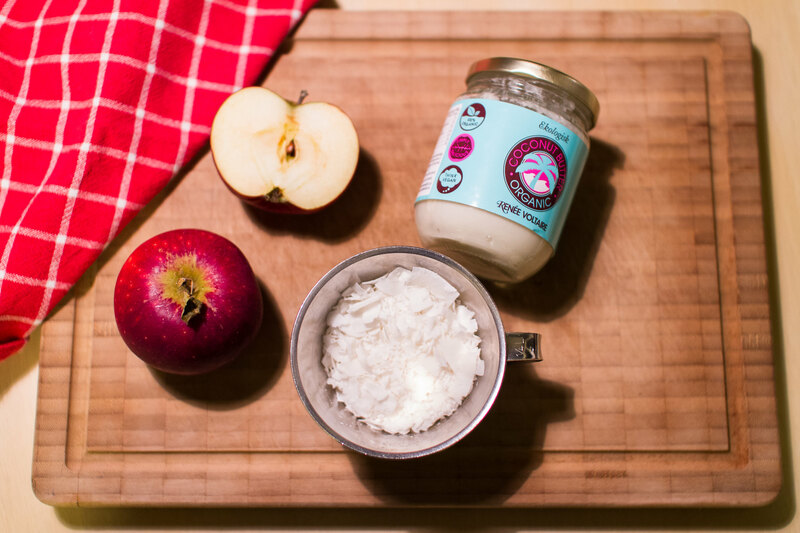 Chop the apple and gently melt the coconut butter if it’s in solid form like it usually is in our northern climate. 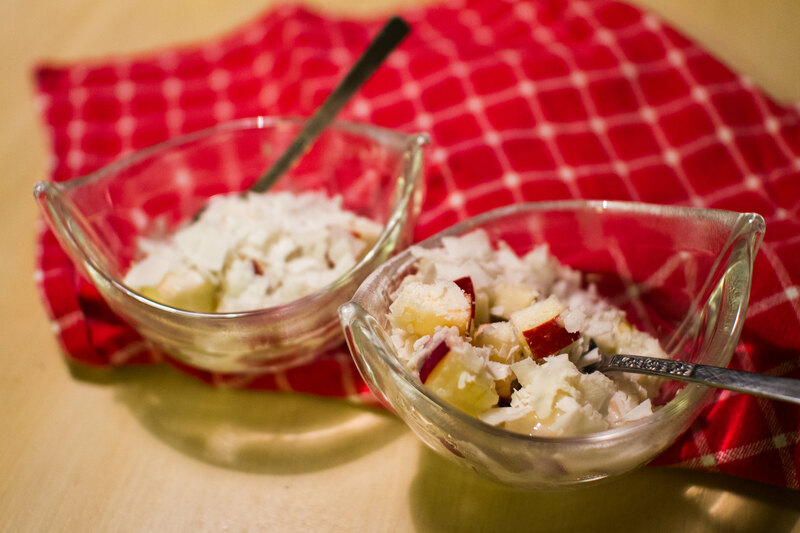 Then simply ripple the coconut butter over the apple and top with some coconut flakes. If you haven’t heard about coconut butter before, it’s like nut butter but with coconut instead of nuts. You could do it yourself but we prefer to buy it to save our mixer. Even though fruit is quite sweet we like to enjoy locally produced food and apples are one thing that we have a lot of in Sweden this time of the year and picking them ourselves makes them more than okay to enjoy as well. With that philosophy it’s maybe a bit contradicting to eat them with coconut, but to get some extra of healthy fat is never a bad thing. Here comes another post with numbers and reflection regarding my diabetes type 1, with some reflections regarding our 24 hours fasting during Monday to Tuesday this week. The purpose, apart from the good benefits of fasting, was to see if my basal insulin dose is correctly calibrated but also because Mondays afternoon are quite stressful for us. To be able to skip that dinner simplifies the day a whole lot. Otherwise I would need to eat my dinner on the bus and that makes it complicated with handling insulin and it requires a lot of planning to fix food to have on the go. So how did it go? Short answer: Okay! Longer answer: No energy dip or extreme hunger, most difficult was dinner time at Monday but the night and Tuesday morning was just nice. I like the concept to start and end at lunch, it’s easier to skip a dinner and breakfast than a lunch. It is completely crucial to take your basal insulin as usual! But skip the bolus insulin unless your sugar or ketones rises too much, then a dose bolus might come in handy to stop it. Drink a lot of water and take a lot of salt! 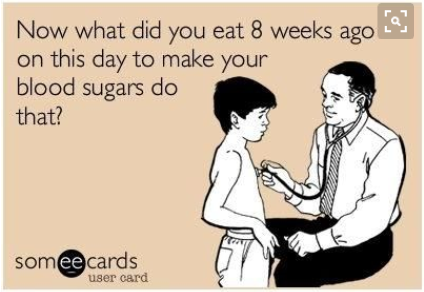 Keep track of your blood sugar and ketone levels, don’t ever let them go high! Then you’ll end up at the emergency room with ketoacidosis, like I did when finding out I was diabetic. I failed at the middle point, which is probably the reason for my funny looking curves below. Drinking less than usual the whole day (I didn’t think about it) and then doing a quite intense workout without refueling any salt or water wasn’t the best. I believe that is the reason my ketones rised to high levels. The grey field indicates where you want your ketones to be. I started at 1.2 mmol/L, which fell out of the graph. The curves show that my night didn’t start very well, a dip in my blood sugar level down to 2,9. But as the ketones dropped below 3 as well I wasn’t too worried and after being up for a while I suppose my liver sent out some sugar into my blood again since I did no other correction. After that, I slept well during the rest of the night. During the morning both the blood sugar and ketones started to rise. At this point I wasn’t sure if I was going to break the fast or not. I asked some more experienced people for advice and as long as I didn’t feel any nausea or discomfort we agreed on that it should be fine to continue for a few more hours. High ketones are not dangerous as long as they’re not followed by high sugar levels or sickness. I suppose we’ll continue with this next Monday, but then I will make sure to drink water and salt. Hopefully that will be less dramatic. So well timed to be in the middle of a fast when the Nobel prize in medicine was declared, since it was awarded for the discovery of autophagy, which is shown to be a process improved by short term fasting!